As part of its mandate to share information on Open Data initiatives and trends across all levels of government in Canada, the MISA/ASIM Canada Open Data SIG has invited leaders from the Government of Canada, nine provinces (all except Prince Edward Island) and the Northwest Territories to participate in the upcoming teleconference on May 23rd, 2018 at 2:00 pm EDT. The teleconference will also feature an update on the Statistics Canada Building Canada 2020 crowdsourcing initiative, to map and capture key information on all buildings in Canada. 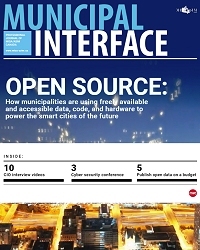 In addition, Dr. Tracey Lauriault of Carleton University and the European Research Council funded Programmable City Project will connect the dots between Smart City and Open Data initiatives; and there will be updates on the Open Data Census’ Open Data Standards, the Open Government Learning Hub and more. Those interested in learning more or joining the teleconference can contact Roy Wiseman at ed@misa.ca.